Background/aim: To investigate the diagnostic value of bacterial artificial chromosome (BAC)-based array comparative genomic hybridization (CGH) and chromosome analysis in prenatal diagnosis. Materials and methods: This study included the chromosome analysis and BAC-based array CGH analysis of 140 amniocentesis samples with prenatal diagnosis indications. Results: Karyotype analysis showed trisomy 21 in 4 patients, trisomy 18 in 5 patients, monosomy X in 1 patient, and other anomalies in 3 patients. The BAC-based array CGH analysis showed 4 patients with trisomy 21, 4 patients with trisomy 18, and 1 patient with monosomy X as a numerical chromosome anomaly, while partial duplication was observed in chromosome 14 in 1 case as a structural anomaly. Conclusion: The array CGH is the most effective method available to complement cases where chromosome analysis, a gold standard in prenatal diagnosis, proves to be insufficient. Considering the inherent limitations of both methods, complementary features should be introduced in order to be able to give the most accurate data at the right time. Balkan M, Erdemoğlu M, Alp MN, Budak T. Patau sendromlu bir prenatal tanı olgu sunumu. Dicle Tıp Dergisi 2008; 35: 145– 148 (in Turkish). Saatçi Ç, Özkul Y, Taşdemir Ş, Kiraz A, Müderris İ, Taşcıoğlu N, Çağlayan O, Dündar M. İnvazif prenatal tanı yöntemleri uygulanan 2295 olgunun retrospektif analizi. Perinatoloji Dergisi 2007; 15: 121–126 (in Turkish). Gülten T, Erçal D. Çocuk sağlığı ve prenatal tanı. Türkiye Klinikleri J Pediatr Sci 2005; 1: 68–72 (in Turkish). Rickman L, Fiegler H, Shaw-Smith C, Nash R, Cirigliano V, Voglino G, Ng BL, Scott C, Whittaker J, Adinolfi M et al. Prenatal detection of unbalanced chromosomal rearrangements by array CGH. J Med Genet 2006; 43: 353–361. Rickman L, Fiegler Carter NP, Bobrow M. Prenatal diagnosis by array CGH. Eur J Med Genet 2005; 48: 232–240. Aydoğmuş S, Keskin HL, Gökçe SB, Avşar AF, Çelen E. The efficacy of quantitative fluorescent-polymerase chain reaction (QF-PCR) in the diagnosis of prenatal aneuploidy. Turk J Med Sci 2009; 39: 741–746. Park JH, Woo JH, Shim SH, Yang SJ, Choi YM, Yang KS, Hyun CD. Application of a target array comparative genomic hybridization to prenatal diagnosis. BMC Med Genet 2010; 11: 102. Park SJ, Jung EH, Ryu RS, Kang HW, Ko JM, Kim HJ, Cheon CK, Hwang SH, Kang HY. Clinical implementation of whole- genome array CGH as a first-tier test in 5080 pre and postnatal cases. Mol Cytogenet 2011; 4: 12. Jeuken JWM, Sprenger SHE, Wesseling P. Comparative genomic hybridization: practical guideline. Diagn Mol Pathol 2002; 11: 193–203. Erdemoğlu M, Kale A. Genetik amaçlı amniyosentez uygulanan 183 olgunun prospektif analizi. Dicle Tıp Dergisi 2007: 34: 170–175 (in Turkish). Tongsong T, Wanapirak C, Sirivatapa P, Piyamongkol W, Sirichotiyakul S, Yampochai A. Amniocentesis-related fetal loss; a cohort study. Obstet Gynecol 1998; 92: 64–67. Dommergues M, Audibert F, Benartter C, Gomel V, Frydman R. Is routine amniocentesis for advanced maternal age still indicated? Fetal Diagn Ther 2001; 16: 372–376. Yüce H, Çelik H, Gürateş B, Erol D, Hanay F, Elyas H. Karyotip analiz amacıyla genetik amniyosentez uygulanan 356 olgunun retrospektif analizi. Perinatoloji Dergisi 2006; 14: 2 (in Turkish). Api O, Özyapı AG, Cengizoğlu B, Ünal O, Turan MC. Yedi yıllık ikinci trimester genetik amniyosentez sonuçlarımız. Perinatoloji 2009; 17: 1–7 (in Turkish). Yayla M, Bayhan G, Yalınkaya A, Alp N, Fidanboy M, İsi H, Budak T, Erden AC. Amniyosentez ve kordosentez ile fetal karyotip tayini: 250 olguda sonuçlar. Perinataloji 1999; 7: 255– 258 (in Turkish). Shinawi M, Cheung SW. The array CGH and its clinical applications. Drug Discov Today 2008; 13: 760–770. Breman A, Bi WM, Cheung SW. Prenatal diagnosis by array- based comparative hybridization the clinical laboratory settings. Beijing Da Xue Xue Bao 2009; 41; 500–504. 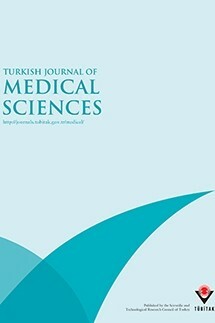 Saatçi Ç, Özkul Y, Taşdemir Ş, Kiraz A, Müderris İ, Taşçıoğlu N, Çağlayan O, Dündar M. Retrospective analysis of 2295 cases that performed invasive prenatal diagnosis. Perinatoloji 2007; 3: 120–125 (in Turkish with English abstract). Van den Veyver IB, Patel A, Shaw CA, Pursley AN, Kang SHL, Simovich MJ, Ward PA, Darilek S, Johnson A, Neill SE et al. Clinical use of array comparative genomic hybridization (aCGH) for prenatal diagnosis in 300 cases. Prenatal Diagnosis 2009; 29: 29–39. Lee C, Lin S, Lin C, Shih J, Lin T, Su Y. Clinical utility of array CGH hybridization for prenatal diagnosis: a cohort study of 3171 pregnancies. BJOG 2012; 119: 614–625. Neil JN, Torchia, SB, Bejjani AB, Shaffer LG, Ballif CB. Comparative analysis of copy number detection by whole- genome BAC and oligonucleotide array CGH. Mol Cytogenet 2010; 3: 11. Maya I, Davidov B, Gershovitz L, Zalzstein Y, Taub E, Coppinger J, Shaffer LG, Shohat M. Diagnostic utility of array-based comparative genomic hybridization (aCGH) in a prenatal setting. Prenat Diagn 2010; 30: 1131–1137. ISNAD SAVLI, HAKAN , KESKİN, SEDA EREN , ÇİNE, NACİ . "Investigation of the diagnostic value of chromosome analysis and bacterial artificial chromosome-based array comparative genomic hybridization in prenatal diagnosis". Turkish Journal of Medical Sciences 45 / 6 (December 2015): 1263-1267.